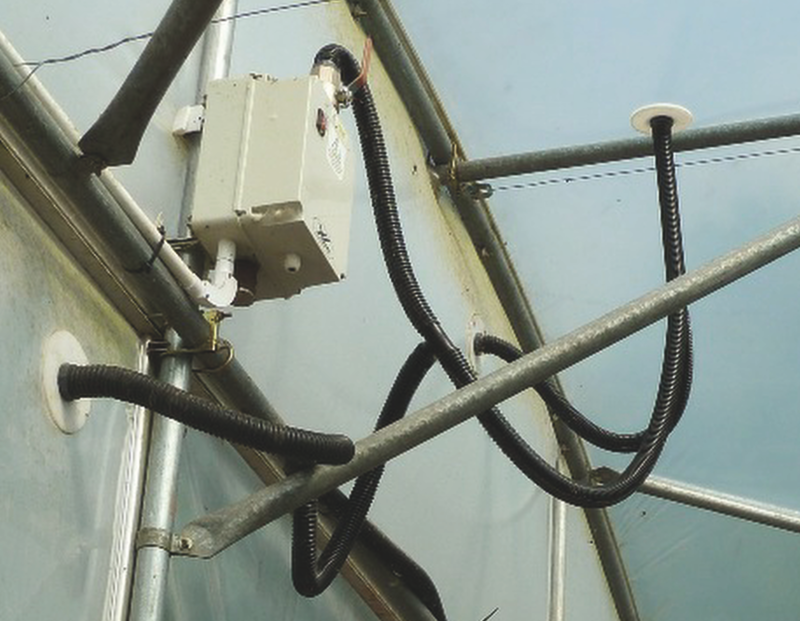 If you are heating your polytunnel, a twin skin will save you £s. XL's twin skin kit uses tried and tested brushless motors for economy and long life. A twin skin roof can give you up to 13 degrees of frost protection or more using SunMaster SuperThermic films on the inner film layer. It works at low pressure (~1.5psi) and, as long as the edges are sealed, it will blow up several roofs, ends etc. It can be fitted to any new or existing polytunnel but a grip rail is recommended for best results. Consisting of a 240v/90w centrifugal fan housed in a waterproof box, complete with isolator switch, isolation valve and clamps to fit onto either a 50mm or 60mm tunnel frame.